These early 36mm. 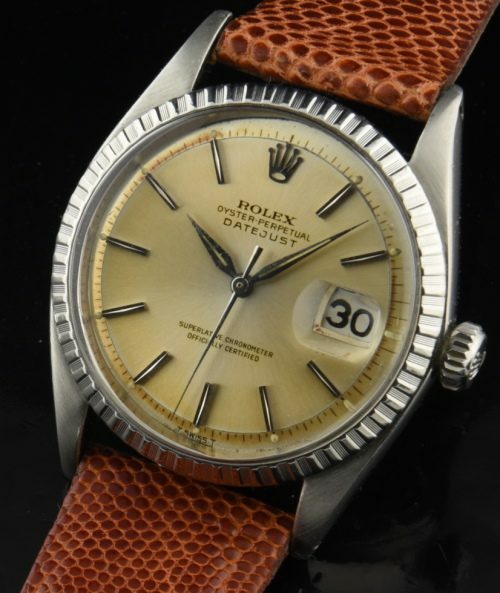 ROLEX DATEJUSTS are truly under-valued at this time. Look at the amazing patina this original dial has taken on! The Dauphine hands change the whole appearance of the Datejust, (just like the early Speedmasters). If this were a Rolex 60’s Submariner or GMT from the 60’s, the price would be through the roof! Why are the 60’s Datejusts so inexpensive? The case looks amazing and the movement was cleaned and accurate. Act fast. We are NOT easily finding these.